Is our Digital Destiny Brandwashing? Wikipedia to Make Computers Smarter? Ad Age Digital writes about a viral site that allows you to age your management based on a current photo. Their article features a P&G exec with strange results. The site, age-o-matic, is a nearly 'pure' viral play with careerbuilders.com. Pete Blackshaw has some intriguing comments on YouTube's new revenue-sharing model. He has a very good point, but I think the direction is largely inevitable given the money involved. Traffic here does appear to equal content.
" ... YouTube this weekend announced it would eventually move to a revenue sharing model with content creators...not unlike Revver, which splits ad-revenue 50/50 with consumers who post video. This is a big deal, and could have massive implications on the creation and consumption of consumer-generated media (CGM). Up until now, YouTube has anchored its model more to "attention gratification" than financial compensation, which to many sounds like a raw deal against a backdrop of YouTube selling to Google for $1.5 billion. .... "
" ... increasingly sophisticated, but largely invisible, technologies that will "sense" or "know" our interests, dislikes, and habits. Information about our travels -- in cyber and real space -- will be collected and stored, most often without our awareness. Our personal data will be the basis of computerized profiles that quickly generate commercial pitches honed to precisely fit our psychology and behavior. A ubiquitous system of micropersusaion is emerging, where the potent forces of new media are being unleashed to influence our individual behavior. From the ad industry's initiatives to better perfect measures such as "engagement," to the MI4 research effort (Measurement Initiative for Advertising, Agencies, Media and Researchers) to harness the power of the unconscious mind, to the rapid evolution of "rich media" virtual applications, a marketing technological "arms race" is underway that will further permeate advertising and marketing in our daily lives ... "
Though without a great deal of specific evidence. I found useful the outline of legal issues in communications, but could have done without some of the rant. An odd little site that allows you to create your own digital identity. An avatar you can then use to identify yourself and use in a number of venues. This has become hot among the myspace crowd. Some are calling it the year of the avatar. Here is an example. A colleague points us to IBM's Many Eyes. An IBM alpha site for shared visualization and discovery. Some nice examples of viz. Wim says you can upload some of your own data. (To use it I had to upload a new version of the Java Plugin, not sure if this usual). From IBM's Visual Communications Lab.
" ... Many Eyes is a bet on the power of human visual intelligence to find patterns. Our goal is to "democratize" visualization and to enable a new social kind of data analysis. Jump right to our visualizations now, take a tour, or read on for a leisurely explanation of the project. ... All of us at the Visual Communication Lab are passionate about the potential of data visualization to spark insight. It is that magical moment we live for: an unwieldy, unyielding data set is transformed into an image on the screen, and suddenly the user can perceive an unexpected pattern. As visualization designers we have witnessed and experienced many of those wondrous sparks. But in recent years, we have become acutely aware that the visualizations and the sparks they generate, take on new value in a social setting. Visualization is a catalyst for discussion and collective insight about data ... "
We have mentioned and interacted with Wharton Prof J. Scott Armstrong here a number of times. A new article of his is in Knowledge@Wharton: The 'Myth of Market Share': Can Focusing Too Much on the Competition Harm Profitability? Unilever has signed a seven-year IT outsourcing deal with IBM. Also an HR outsourcing deal with Accenture. And has engaged HP to conduct due diligence for enterprise computing. I met Scott Page at the Santa Fe Institute a few years ago. He is a prof at the University of Michigan and has just authored a book: The Difference: How the Power of Diversity Creates Better Groups, Firms, Schools and Societies. I have read a pre-release copy. He has a notably different, quantitative and welcome view of the subject. This is a book about predictive sociology, and it shows some physics envy along the way. Non-technical, few equations, and those mathematical relationships that are used are accompanied by easy numerical examples. (Full technical papers pointed to in his home page, above) So its an easy read. Makes the obvious comparisons to 'smart mobs', 'wisdom of crowds' and related ideas of recent years. Provides some useful conditions for the application of diversity to problems. Even in the introduction, though, Page makes the point that the theory of relativity was not outlined by a diverse crowd, but by a single patent examiner with a penchant for thought experiments. Perhaps the deepest quandary I have with this book is its definition and positioning of the term diversity itself. He gives lots of useful examples of diversity of problem solving methods and cognitive approaches. He then uses business interest in diversity to support his tabletop models, stretching his definition of diversity. His arguments, when they address the gorilla-on-the-table world of identity diversity vs cognitive diversity include too many statements starting 'If we believe that ...' to convince me. Despite that, this is a thought-provoking and well-written book that makes you think about the problem, and the first time I have seen an attempt at using logic to address this issue. Always thought there was much benefit in the use of geothermal energy. Pointers to a recent MIT report on the topic. Viable in the west at a depth of 5,000 feet. The full report. Can we use abandoned oil wells? The report shows an optimistic view. The Citizendium wiki is an alternative to the Wikipedia developed by one of its founders, Larry Sanger, his blog. It specifically addresses some of the criticisms of the wikipedia, namely that many WP entries are mediocre and sometimes wrong or agenda-driven. The citizendium is an expert edited wiki, which attempts to remove some of the WPs inaccuracies. Originally they planned to 'fork' the WP, in other words start with its entries, and then have experts edit them. Now they have decided this is not the way to go and they are starting from scratch. Is this because editing does not have the same appeal as creating? Will this new form of hive intelligence work better than the WP? The WP also has a very big head-start with a crtical mass Citizendium does not have. Impressed by the attempt. It still requires a login and is subject indexed rather than search friendly. What are the implications for other intelligence-aggregating social technologies? And, about Citizendium in Wikipedia. ZoomAlbum is a way to create albums from digital pictures. Simple, clever idea. I like it because it converts a digital problem back to an analog solutuion. In a digital world, its outside the box! Doug Rowan of Zoomalbum tells me that QVC will be featuring their product on January 24 and 25th. Loook for the times on QVC. 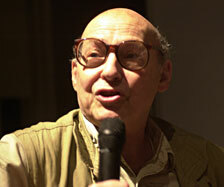 Marvin Minsky interviewed in Discovery. Minsky has been one of the leading thinkers in the world artificial intelligence for years. His book Society of Mind was instrumental in scoping out a deisgn outline of intelligence. His new book, the Emotion Machine, is another great read in this area addressing the issue of how systems can include emotions. He has influenced both fiction and technology over the last thirty years. ABC News covered local grocer Jungle Jim's in a short article as differentiating themselves with entertainment, includes a short video. " ... Hosting more than 50,000 shoppers a week, it's a world tour of food fantasy from the Fabled Sherwood Forrest to Gilligan's Island. Displays include dancing animatronic animals, an authentic shrimp boat, aquariums, wine cellars and even a fire truck suspended over 1,000 different hot sauces ... " I go to JJ's at least twice a month, to me and most adults the attraction is not the entertainment, which is mostly kiddie oriented, but the wide selection of foods. A unique 'foodie' grocery experience, which is carving out its niche against the Wal-Marts. If you lose your passport, you soon know its lost. A BBC article shows how the new ePassports, which contain an RFID chip, can be cloned in 5 minutes. You won't know it has been cloned. Consider the security implications. From Bruce Schneier's newsletter and weblog. Have now read several of his books, such as his most recent book: Beyond Fear. All of his works are insightful and sometimes contentious, always informative. Business Process Management (BPM) is a term that's much talked about these days, but there is confusion about what it really is and its implications for IT's relationship with business process. Here is a good overview paper on the subject: KMWorld White Paper, Best Practices in Business Process Management. A useful look at the topic. Roland Piquepaille has a blog that examines corporate blogging, in a recent post he mentions a study on corporate social media: ' ... I introduced you to the research work of Nora Ganim Barnes, Director of the Center for Marketing Research at the University of Massachusetts Dartmouth. Now, with her colleague Eric Mattson, she has just completed a study of the Inc. 500 and their use of social media. Their report is aptly named "The Hype is Real: Social Media Invades the Inc. 500." ...'. - Here is a link to the full pdf of the study. Of interest from CES, the IRobot Create, an open source robot chassis based on the IRobot Roomba. Inspired by all the hacking that had been done on the Roomba and its offspring. Costs from $130 to $999. I like the idea of a robust platform robot system that can be used to test sensors, control and design. More here from IRobot. Completely assembled, operational and tailorable. Read about Steve Job's keynote at MacWorld 2007 today. Makes a lot of sense to have all that functionality in one place. Its an all touch device that combines a phone, internet access and Ipod music access. The engadget transcript link above shows the presentation very nicely. Its still not a complete computational device, and although my Blackberry does include internet access, its very incomplete in that regard. It does the basic searches OK, but hardly allows for me to deal with a complex web application. The Apple device also brings to mind the swiss-army-knife argument. Will a device that tries to include many functions do them all as well as specialist devices? I recall juggling a phone and PDA for a while, and eventually went for a less than ideal phone with the Blackberry. Earlier experiences with PDAs also showed that if you did any amount of text entry, a non-keyboard device was not going to work, though I had seen some impressive texting performances. Maybe primarily for non business applications. Based on the presentation, the way it does graphics is very impressive. The Apple device is not for sale yet, and they are linking with Cingular for the internet and phone services. Perhaps whether the IPhone is successful will, as most such devices do, depend on its ultimate execution. Pete Blackshaw looks at the related buzz. Fascinating note of work at the Technion. The idea of background or common-sense knowledge is an inportant one in artificial intelligence. Since a Wikis knowledge is potentially ever-changing, and we know the WP has led to much debate over the correctness of its knowledge, how would such an approach work?
" ... The program created by the research team uses a concept database, constructed from Wikipedia, to understand single words and phrases. The type of "background knowledge" that the researchers want computers to utilize is a vital part of human problem solving ability, "but we [previously] didn't know how to have computers access such knowledge," says Technion Faculty of Computer Science researcher Shaul Markovitch. Whereas current programs simply treat documents as a group of words, the new system aims to understand the meaning of the words it encounters..."
Intriguing piece by Malcolm Gladwell in the current New Yorker. Enron, intelligence, and the perils of too much information. He positions mysteries versus puzzles. Is a mystery just a puzzle with missing information, or missing understanding of a model? Simplistic in its conclusions, but thought provoking. Via Alex Pang, of the Institute for the Future, who comments on this as it might relate to the business of future forecasting. In todays WSJ: P&G Boosts Social-Networking Efforts (May require registration) " ... Procter & Gamble, in its biggest foray into the hot Web phenomenon of social networking, is launching two Web sites aimed at creating online communities where the consumer-products titan can learn more about its customers and market to them .... "
Nicholas Carr reports on the recent experiments that showed that people treated avatars (virtual, often cartoon-like representations of people) much like they treat real people in a repeat of the infamous Milgram experiments of the 1960s. 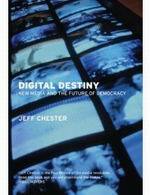 This also relates to the broader findings of Stanford Prof Byron Reeves in his book 'The Media Equation'. The finding there was that people treat computers more like people than one would expect, even when they absolutely know its an artificial entity. Some of our reactions are wired in quite illogical ways. We attempted to use this effect with the talking Mr Clean. Always thought this would have implications for marketing, but nothing impressive so far. In 2005 Wal-Mart set up experimental stores in Colorado and Texas to address environmental and sustainability issues, they are now starting to publish data from this experiment. Any further information?
" ... In order to learn more about how Wal-Mart, and the entire industry, can improve in the area of environmental sustainability, this store and one in McKinney, Texas will experiment with materials, technology and processes which will reduce the amounts of energy and natural resources required to operate and maintain the store, reduce the amount of raw materials needed to construct the facility and substitute, when appropriate, the amount of renewable materials used to construct and maintain the facility ... "
Know who Ove Arup is? I didn't until very recently. He and his company are one of the leading design and engineering firms of the twentieth century. A bio by Peter Jones, was sent to me by Chris Luebkamen of Arup. Civil Engineers practice a unique blend of science, technology, art and function. 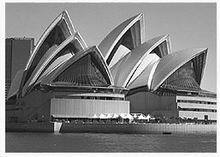 Sydney Opera House, one of Arup's iconic designs and implementations at the right. Worth seeing how this evolved in the life of Arup. Its a new year, and I know that there are a few readers out there. This blog, as I have mentioned a few times, is a weak mirror of my internal corporate blog, which is widely read there. Internally I can provide much more detail and link to efforts underway. This year will be a very big transition for me. I will be moving from a corporate world to being an independent entity. I plan to continue to run this blog as long as I find it interesting myself. If you are interested in talking to me about any of my areas of expertise, for fun or collaboration, contact me at the email address at the right. Richard James informs us that the France/UK videotex service Minitel officially closed its doors on January 1. The Minitel was a predecessor to the Web, launched in France in 1982. It did very well at first, and attempted to link to to the Web after its emergence. I saw a demo in the late 80s and it was impressive for the time. Is there a place where we can learn about some of the learnings from the Minitel experience? It is surprising to me that it lasted as long as it did after the Web achieved more universal critical mass, but was likely buoyed by governmental support. From Minitel, where they are establishing a new service which is business oriented, but apparently web based.